Snap stock plummeted today after Kylie tweeted that she no longer used the app. In case you were in need of any further evidence that the Kardashian-Jenners are omnipotent and very possibly the architects of society as we know it, please observe this series of events from the past 24 hours. 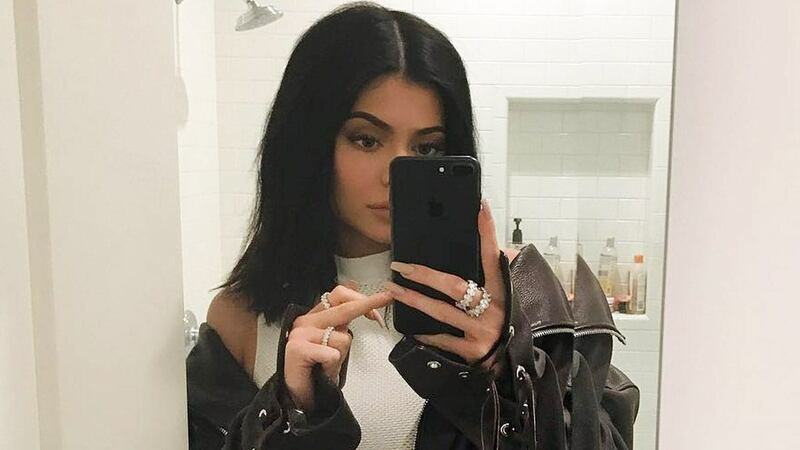 On Wednesday, February 21, Kylie posted a tweet asking: "sooo does anyone else not open Snapchat anymore? Or is it just me... ugh this is so sad." It is sad, Kylie, that's true, but it didn't get really sad until the following day when Snapchat's stock plummeted. 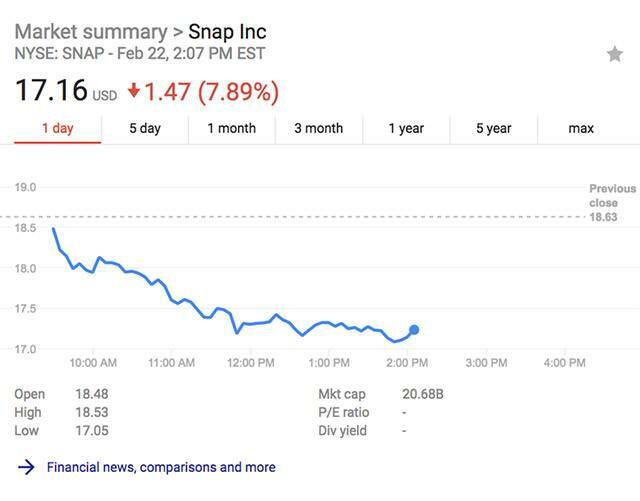 Here's a screen grab of Snap's stock performance on Thursday, February 22. It's rough. Now, correlation does not necessarily equal causation, so Kylie's tweet and the Snapchat stock downturn could be unrelated. But she is one of Snapchat's most popular and influential users, and has 24.5 million Twitter followers, so there's no doubt that a ton of people saw her tweet. And as The Verge notes, the timing of it all suggests that there's a direct connection: as of 1:30PM ET on Wednesday, Snapchat stock sat at $19.02, which represented an upturn from the previous day. At 4:50PM ET, Kylie sent the tweet, and the stock immediately began to fall. It had dropped by close to 8 percent at the time of writing, which per Reuters constitutes roughly a $1.5 billion loss in market value. A few minutes after her original tweet, Kylie did follow up with some damage limitation, but maybe too late. This article originally appeared on Marie Claire US. Minor edits have been made by the Cosmo.ph editors.